This site is build as a experiment by me, Runar Buvik in my free time. I love to work with search and big data problems, and have been doing so for years. During my work I noticed that almost every search technology vendor claim to have the fastest, most scalable architecture, that deliver the most relevant results. I thought that it would be interesting to setup some of them, side by side, so I could have a look about that for my self. The result is this site. Any question about this site can be directed to me, using the email address below. I have previously worked at Enterprise search company Searchdaimon (but Searchdaimon has not been given any special advantages in this tests). The site could just as likely be called “auditable test search”. It is open in the form that it’s available to everyone, and all datasets can be downloaded if you want to do your own tests, or audit my results. I also plan to release the software used to create the datasets and the software that run this site. Only need to clean it up a little bit. For each search engine I have setup a separate virtual machine with a clean operating system install and the search engine software, installed according to the manufacturer’s documentation. Some search engines run on Amazon Web Services EC2 and some on VMware. For the search engines running on VMware I have two IBM X3550 (4 Core Xeon cpu, 12 GB ram ) servers running VMware Esxi as host computers. As of October 2016 the goal is to migrant everything to EC2. The different data sets are hosted on Amazon Web Services S3. 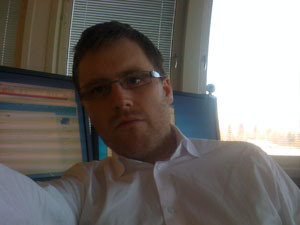 The two VMware servers are hosted free of charge by Norwegian IT solution company NetClient.